Cats are running loose through the city! Rescue as many cats as you can, but try not to get scratched! 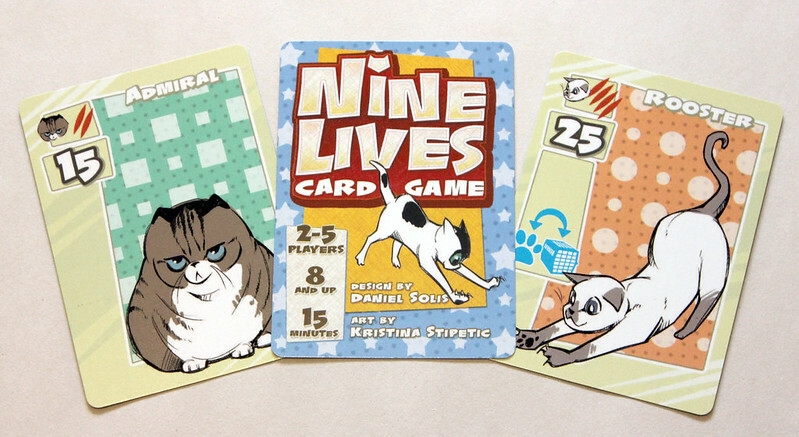 NINE LIVES is a fast game of trading, bidding, and clever tactics. Each round, players bid a uniquely numbered card from their hand at the same time. High bids use special powers first, which can force trades between players. Low bids get first choice of cats to rescue, which is the real key to victory. Score points by rescuing cats—especially rare cats—but try to have fewer scratches than your opponents! 50 cards used in play. You can make a cheaper PDF version? I'm from Brazil and I can not buy the printed version.